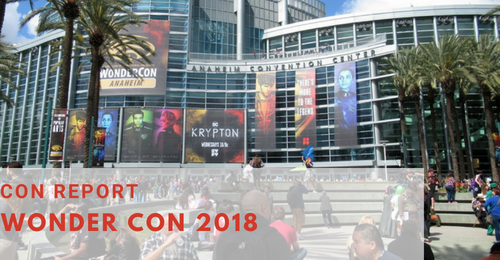 Wonder Con 2018 took place on March 23 – March 25, 2018 at the Anaheim Convention Center in sunny Anaheim, CA. The weather was perfect – not blistering hot and not too cold. Wonder Con is owned by San Diego Comic Con and does have the same quality programming with industry professionals and leaders in various factions of fandom. While Wonder Con does not have the celebrity presence as its big brother convention down south, it does give people an opportunity to get a taste of San Diego Comic Con without the battle for tickets and hotel rooms. Wonder Con celebrates pop culture from all over the world highlighting both industry and independent creatives. 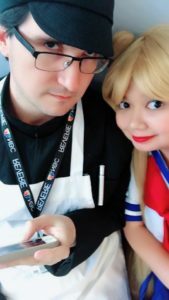 This is one of our favorite conventions to run presentations at as well and immerse in our various fandoms outside of anime.